Weight Watcher Friendly Meal (menu) Plans, That Are Budget Friendly Quick And Easy Meal (menu) Plans Complete With Recipes And Shopping List. 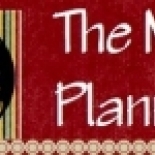 The Meal Planners in Wichita is a company that specializes in Home Health Care Services. Our records show it was established in Kansas.